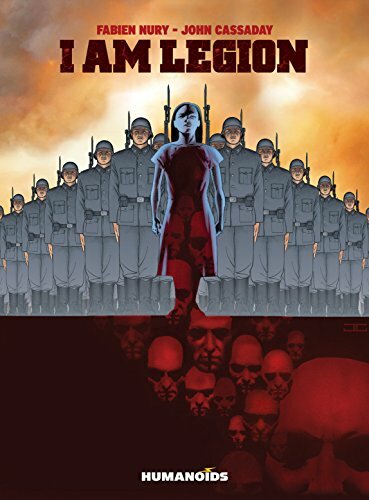 A supernatural take on World War II espionage featuring a girl with the ability to possess other bodies. 1 VOLUME RELEASED - ONGOING SERIES Europe, December 1942. The global conflict has reached a fever pitch. The Nazis are at the height of their power, but the Allies have had their first victories both in Stalingrad and in the Pacific. Never has the war s outcome been so mu A supernatural take on World War II espionage featuring a girl with the ability to possess other bodies. 1 VOLUME RELEASED - ONGOING SERIES Europe, December 1942. The global conflict has reached a fever pitch. The Nazis are at the height of their power, but the Allies have had their first victories both in Stalingrad and in the Pacific. Never has the war s outcome been so much in doubt. 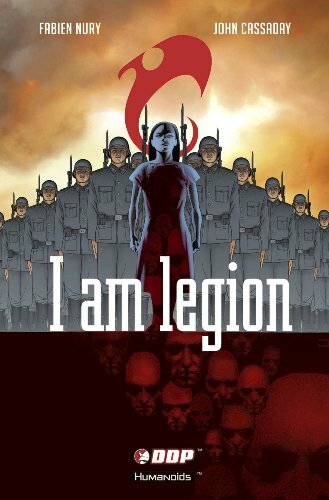 Amidst this chaos, the destinies of several men will cross through a project code named "Legion," which consists of a series of horrific tests that a young Romanian girl with apparent supernatural abilities must undergo. Her 'skills, ' if fully exploited by the Nazis, would give them unimaginable power Featuring the lush artwork of John Cassaday ("Astonishing X-Men," "Planetary," "Uncanny Avengers"). " "Veteran artist John Cassaday ("Astonishing X-Men") brings his A game in this series for sure. The creepy little girl and her cat, the action scenes with the Nazis and the strike force, even simply the scenes of dialog grab you and pop right off of the pages. The colorist [Laura Martin] definitely deserves to be mentioned as well, as she does a fine job with the tones of the book." - ComicAttack.net "The Nazis can be a go-to target for villains and they've definitely been lampooned over the years. That's not the case here. They're a real threat and what they've tapped into is a serious danger to themselves and the world." - HorrorTalk.com"
"Veteran artist John Cassaday ('Astonishing X-Men') brings his A game in this series for sure. The creepy little girl and her cat, the action scenes with the Nazis and the strike force, even simply the scenes of dialog grab you and pop right off of the pages. The colorist [Laura Martin] definitely deserves to be mentioned as well, as she does a fine job with the tones of the book." - ComicAttack.net "John Cassaday s artwork is clever and arresting, working to steadily build tension and create a Pavlovian reaction of fear each time certain steely faces appear. 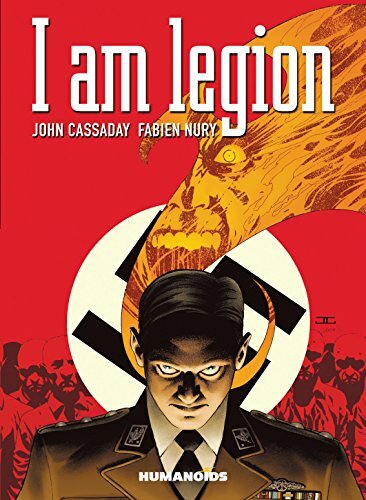 ...Cassaday imparts a sense of foreboding and sterility of emotion that keep the reader constantly turning the pages." - DoomRocket "The Nazis can be a go-to target for villains and they've definitely been lampooned over the years. That's not the case here. They're a real threat and what they've tapped into is a serious danger to themselves and the world." - HorrorTalk.com "John Cassaday does an exquisite job of capturing a range of emotions across all the characters faces. In each moment you feel their pain, sense their fear and experience their horror." - AiPT!" Europe, December 1942. The global conflict has reached a fever pitch. The Nazis are at the height of their power, but the Allies have had their first victories both in Stalingrad and in the Pacific. Never has the war’s outcome been so much in doubt. 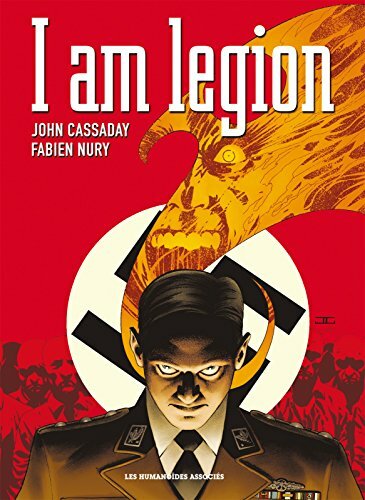 Amidst this chaos, the destinies of several men will cross through a project code named "Legion," which consists of a series of horrific tests that a young Romanian girl with apparent supernatural abilities must undergo. Her 'skills,' if fully exploited by the Nazis, would give them unimaginable power... Featuring the lush artwork of John Cassaday ("Astonishing X-Men," "Planetary," "Uncanny Avengers").